The Goodwill Store & Donation Center in Beaver Dam is hiring for ALL positions! Learn what it's like to work for Goodwill by attending a job fair on October 9th from 4 p.m. until 7 p.m. at Dodgeland High School in Beaver Dam. The Goodwill Store & Donation Center in Pewaukee is hiring for ALL positions! Learn what it's like to work for Goodwill by attending a job fair hosted by the Pewaukee Workforce Development Center on October 4th from 1 p.m. until 4 p.m. The job fair will be held at Waukesha County Technical College (S Building Gymnasium) 800 West Main Street in Pewaukee. Goodwill Retail Services, one of the fastest growing retailers in the area, is seeking individuals who have a desire to grow with us. 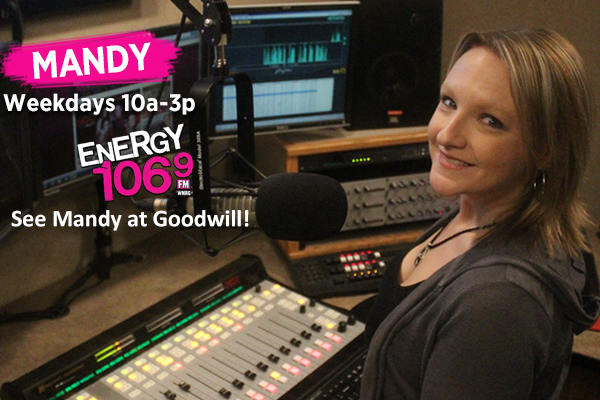 Join us today to get started on your own Goodwill Career Path! Goodwill Retail Services is hiring! Learn what it's like to work for Goodwill today by attending the job fair on the UW-Milwaukee campus on September 14! Goodwill Retail Services is hiring! Learn what it's like to work for Goodwill today by visiting our booth at the Sheraton Milwaukee Brookfield Hotel! Goodwill Retail Services is hiring seasonal employees for our Goodwill Store & Donation Center in Franklin (6941 S Riverwood Blvd, Franklin). Make a donation (like a gently used Halloween costume) from September 1st through November 18th at any Goodwill Store & Donation Center and get $25 off the purchase of a regular admission ticket to Fright Fest at Six Flags Great America!